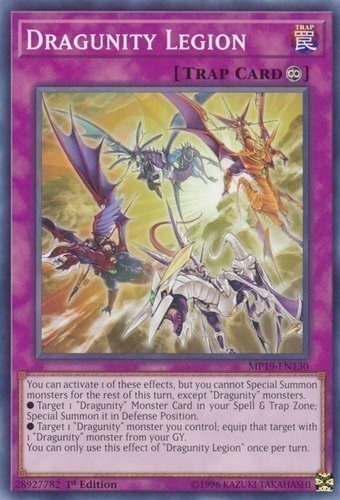 You can activate 1 of these effects, but you cannot Special Summon monsters for the rest of this turn, except "Dragunity" monsters. ● Target 1 "Dragunity" Monster Card in your Spell & Trap Zone; Special Summon it in Defense Position. ● Target 1 "Dragunity" monster you control; equip that target with 1 "Dragunity" monster from your GY.